If you are or know someone who is having a baby girl feel free to enter this giveaway. Read on to know just how to enter! Be a *follower or *reader. 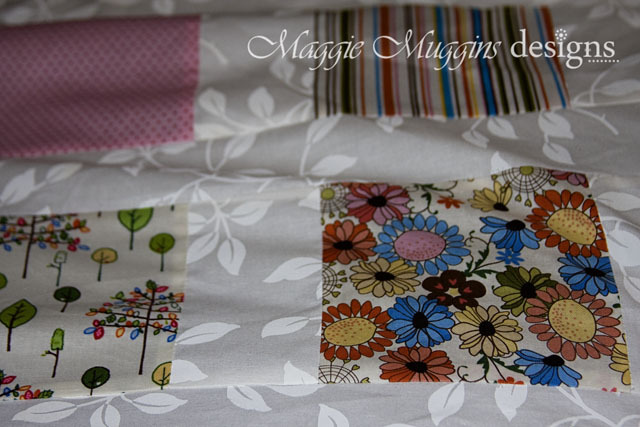 Leave a comment and specify the name you would want on the quilt, if you were to win! Make sure to spell the name correctly, I will probably notify the winner and start making the quilt within the same hour. Be very sure that either: a) email is enabled on your profile OR b) leave your email address in your comment so I can contact you if you win. If a winner is chosen and no contact information is provided, a new winner will be chosen. If you forget to provide email information or want to change your comment, please delete your first comment before leaving another one. Giveaway closes Wednesday March 16th at 12 NOON. Winner will be announced Thursday March 17th. *In the past, I've done open give-aways, but this time I am going to require that you be a follower (or reader) of my blog. Not because I want to make money, or because I want to be more popular - but because this is my way of saying Thank You for reading my blog. New followers are welcome to enter, but don't just sign up for the giveaway. Sign up because you like my blog and want to read it. I expect that this will be my standard for most giveaways in the future. That being said, feel free to share news of the giveaway with your friends. I'm not trying to stop people from joining the blog, just prevent them joining only for the prize.